Publish presentations, videos, images and documents directly on your website. Say goodbye to complicated archives and third-party files hosts. 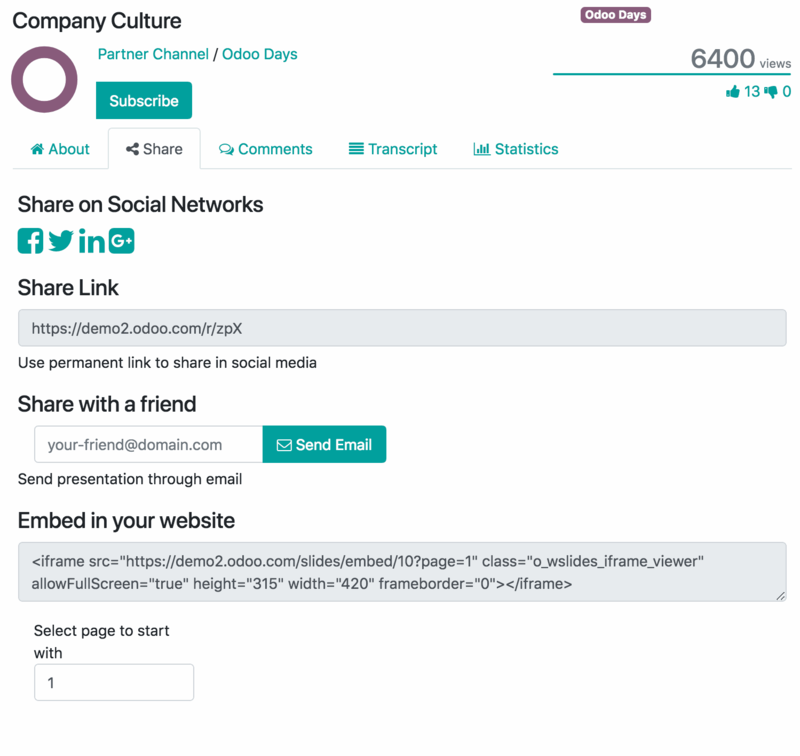 With Odoo Slides you can centralize all your documents on your website and share them publicly or privately with selected groups. Make it easy for your visitors and customers to access your content. 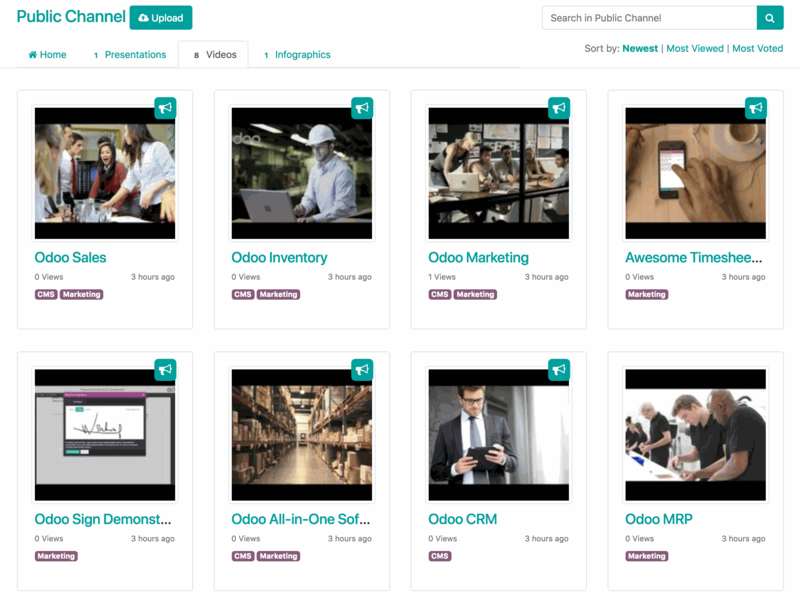 With Odoo Slides, you have many ways to share your presentations and videos- on social media, by email or even by embedding the content straight to another website. Build a clean and complete library with your in-house documents. Secure it by setting up a private channel that only your employees can access. Publish presentations from your company and from contributors. Share material from your training, conferences, and talks.